Caring for a loved one can be rewarding, but it’s important for both of you that you get a bit of time off every now and then. This is where short stay care breaks, also known as respite care, can come in useful. As a carer you’ll be able to relax and recharge your batteries knowing that your loved one will be in a safe and comfortable environment, receiving 24-hour care. You might also want to consider a short-stay care break if you or a loved one is recovering from an operation. This type of care is usually referred to as convalescent care. 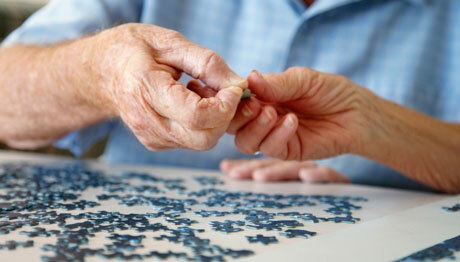 Learn about our convalescent care homes. If you or your loved one decides to have short stay in one of our care homes, you can expect a warm welcome upon arrival. You’ll be assigned a key carer who will show you and your loved one around the home and help them to settle in. We’ll work together with you to get to know your loved one and learn about them to help make their stay as comfortable and enjoyable as we can. Do you have any personal routines or preferences you’d like us to know about? When do you like to go to bed? We want your loved one to enjoy their stay with us so we’ll get to know them so we can tailor their care to what’s most important to them. Our homes are warm and welcoming, with facilities created with you or your loved one’s needs in mind. When you’re caring for a friend or relative at home, it can be very hard work. You may have regular commitments outside the home or just need a break from time to time. Some of our care homes offer a pop-in day care service, which gives carers access to support. It means that you can take a break with the reassurance that the person you care for will receive the best attention. The pop-in day care service includes all the benefits of our facilities within a safe and secure environment. We have a philosophy of inclusiveness, so our residents mix with our pop-in guests, giving opportunities to forge new friendships. The pop-in service is available Monday to Friday 10am to 6pm, with weekend visits and extended stays available on special request. A one off registration fee may apply for care planning, and care is charged by the hour, with tea and coffee included and meals charged separately. Unfortunately, we’re unable to offer day care in all of our care homes, so you will need to check with your local home if this is a service they offer. We have a team of advisers on hand to answer all of your questions. ^ Calls may be recorded and monitored. Arranging care can be a little overwhelming at first, but our in depth guide can give you advice on where to start and what to expect.